When I last wrote about a GI Joe trade for Collected Editions, the future of the franchise looked incredibly grim. That feeling has abated a bit with another line of figures set to hit Toys ‘R’ Us later this year and rumors spreading of a 6-inch line of figures similar to Marvel Legends. IDW’s comics have pulled out of the nosedive since then, but they’re still not at the levels of popularity as the Transformers books. The fan-site Hisstank.com had a trivia contest earlier this year to raise awareness of the previous IDW Joe comics; I won a round and received copies of the issues found in the first GI Joe: Cobra trade. 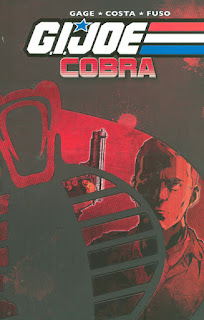 The only story to appear on the Comic Book Resources “Greatest GI Joe Stories Ever Told” list that doesn’t take place in the original Marvel Joe universe, IDW launched Cobra back in 2009. Though it doesn’t tie into the “GI Joe: The Rise of Cobra” film, certain elements made their way into the comic’s portrayal of the team, including the presence of Heavy Duty over Roadblock and a Dennis Quaid-looking Hawk. IDW’s GI Joe universe never really felt cohesive to me. 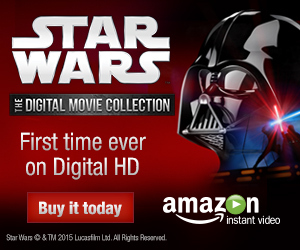 Had the 2009 movie been a well-received hit, they could have aped it or tied into it. Readers instead flocked to Hama’s A Real American Hero title since it continued the original run. Exactly when Cobra takes place isn’t made clear until the second issue, and even then it takes some time to figure it out. The story is very early in the franchise’s narrative; the Joes have not yet encountered Cobra. Our viewpoint into this scenario is Hawkeye ... I mean, Chuckles. Even though Matt Fraction’s Hawkeye came out years after Cobra, I couldn’t help but feel that they were cut from the same cloth. They both take lots of physical abuse, they both have deadpan demeanors, and the both have to get serious as their worlds get darker. There’s something off about the way Chuckles is handled in the story. As part of his undercover backstory, he’s dismissed from the team as a washout so that he can be recruited by mercenaries. The old version of Chuckles was a professional, and I expected that Hawk’s dismissal of him was all part of the ruse. Instead, Hawk really is annoyed with him and really does send him away because he’s a potential “negative influence.” Making the Joes unlikeable isn’t an evolution that I wanted to see in the organization. This leads into the biggest problem I had with Cobra: the tone. I’m not against a realistic portrayal of GI Joe. Military operations and attitudes have changed vastly since the franchise was launched, and the shift in Cobra to make it closer to a real-world terrorist organization is understandable. But this is easily one of the darkest comics I’ve ever read. From the earliest moments, Chuckles is embedded in a sleazy and violent underworld that he has no chance of conquering. His methods have to become more brutal in order to fit in with his newfound compatriots, and there’s no real sense that he’s trying to stop it. There are panels that explicitly imply Chuckles using electrical cords to torture someone and all you hear from him is a growing dissociation. My argument is that there should have been a stronger portrayal of the GI Joe organization in this fight. Sending in one man that the CO doesn’t like with a transponder that can be ruined in a bomb blast feels like vengeance rather than strategy. He’s separated from his back-up and handler, Jinx, very quickly in the story, and he’s given orders to remain undercover when it would have been far better to pull him out. There’s no moments where he tries to sabotage the HISS tanks’ fuel lines or bring down computer interfaces; he instead fails upwards into the BAT android project with the deaths of numerous civilians on his hands. The comic does succeed in creating a pair of excellent villains. It’s fairly easy to tell that Chuckles’s boss is either Tomax or Xamot, but I enjoy how they set up the reveal and use it to alter the status quo at the end. Inverse-color suits instead of the old ridiculous armored gymnast outfits certainly increase their menace. The final issue collected here is a special told from both brothers’ perspectives after Tomax is injured in the final battle. It begins with Xamot narrating their history ... and then the entire issue mirrors itself as Tomax explains his misery now that his connection with his brother is shattered. Antonio Fuso’s grainy art is serviceable for the main story, but he shines with this gimmick issue, reusing panel layouts and settings to create the mirrored narrative. It’s worth reading the second half while looking at the first half so you can see the “reflection” of the pages. I will admit that the Special improved my opinion of GI Joe: Cobra but not by much. Honestly, I wanted to like it more, but I’ve always enjoyed the more bizarre elements of GI Joe. I like the idea that a heroic organization has two flamethrower-wielders along with a fireman, and that the General wouldn’t be the most ridiculous vehicle ever fielded in battle. Larry Hama figured out a good balance of seriousness and silliness, but Christos Gage and Mike Costa went too far to the serious side; the only classic vehicle seen is the HISS for a brief moment in the Special. Next week, it’s a look at Superman writer Gene Luen Yang’s take on forgotten World War II-era hero. It's the extreme character-focus and study of the psychology necessary to exist in the G.I. Joe world that hooked me from the start. So it's interesting to read a different take, which I think is somewhat the prevailing one. It never occurred to me that these are very much love-or-hate comics, but there you are.